Why is it that some of your knit clothing seems to last for ages, and others get stretched, worn, and funky in a matter of washes? In this second part of our short video series on knit fabric, learn all about the 5 things you should look for when you’re picking out fabric at the store. This series is in preparation for our new knits pattern, coming out next week (October 20). Stay tunes, we’ve got some cool special things we’re going to offer just for the first week. 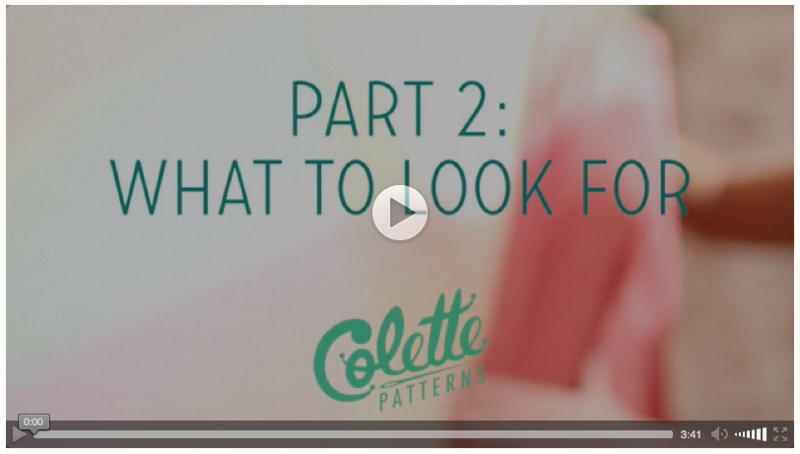 In the meantime, check out the video, and download the free chapter from The Colette Guide to Sewing Knits that goes with it! Thanks for this video! It’s so much more than you could convey in your great blog posts. I had to save it until I could listen to the video, but it was worth the wait! Thanks Collette , great info !! l look forward to your new pattern!